Restaurant in Rethymnon KOKKINOS – Original Greek Cuisine! 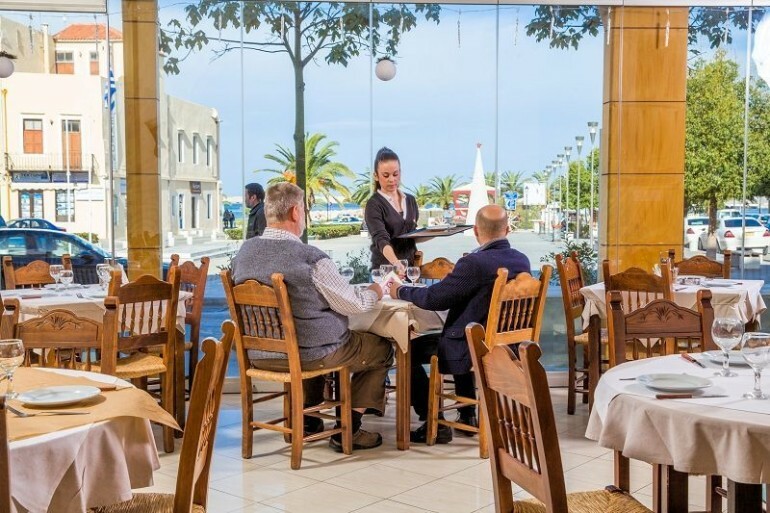 The well known restaurant in Rethymnon ‘Food Center KOKKINOS’ offers 24 hours a day a large selection of excellent made real Greek family food in a warm and friendly atmosphere with a view on the vibrant city life of Rethymno and the sea. Be it breakfast, lunch, dining, or just a late night snack, it’s all yours. It’s here and it’s always near. We are open for you 24h around the clock! Our opening times meet your demands. Be it in the morning for a coffee and a typical Mediterranean breakfast, at lunch time for a hearty healthy meal, be it in the evening for a cozy Greek dinner in good company with friends, or at night, for just a tasty bite to eat, ΚΟΚΚΙΝΟΣ Food Center is always the right place to go.